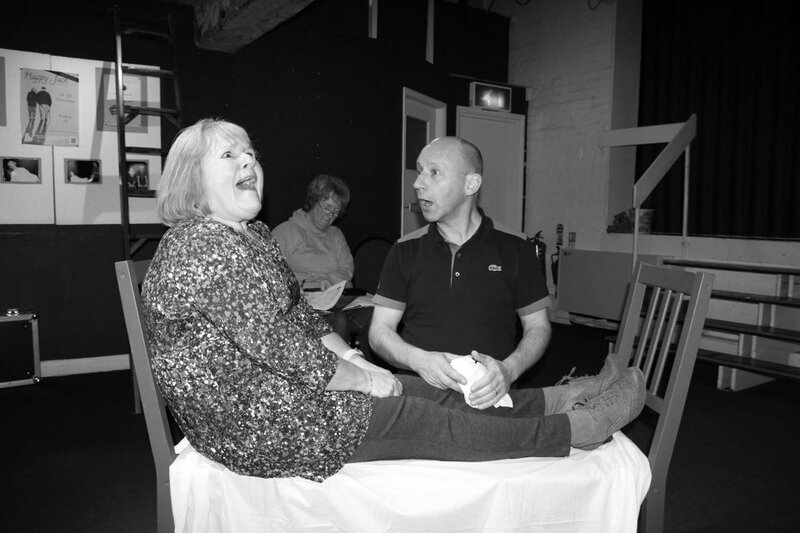 THE Lace Market Theatre's next production is John Godberâ€™s Happy Jack, his 1982 play inspired by his grandparents, which has become one of the definitive dramas about the Yorkshire mining community. It opens with Jack and Liz Munroe at the end of their lives, then unfolds backwards through key and intimate moments, right back to Jack asking Liz out on their first date. Why did you choose a John Godber play to direct? Well, he is reputed to be the most performed living playwright and is even studied as part of the national curriculum so he clearly has much to offer. He writes about a world he knows, reflecting on aspects of life that we can all relate to. Why â€˜Happy Jackâ€™ in particular? I suppose everyone can relate to a love story but of course this being Godber it is very much grounded in the harsh reality of a Yorkshire pit village. The play is based on episodes from the lives of his own grandparents and many people will recognise the vignettes that are played out. Is this the first time that you will have directed at the Lace Market Theatre? No. I have directed two main house productions in the past Kiss of Death and Arabian Nights but this will be my first studio production. Isnâ€™t this a bit of a comedown after main house productions? Quite the contrary the studio is a much more challenging environment to work in. It imposes limitations not only in space but also for the technical crew and requires the entire production team to be at their creative best. The audience are seated much nearer to the performance space which gives a more intimate environment. How is the production being staged? The studio has several possible configurations but I have decided to stage the play in the round. This brings its own challenges, which includes ensuring that members of the audience have good visibility of the action throughout the piece. It makes the use of a set difficult especially in a play like this where the action moves from their house, to Blackpool, to the cinema etc. The characters introduce themselves at the end of their lives and the play travels back in time to when they first met which also means the staging has to be simple. One of the main functions of the director is to ensure all of the team are relaxed and confident and working hard for each other. So far everyone appears happy in their roles and we are making excellent progress. One of the advantages of a studio production is that they are always well attended and often sell out. Tickets are selling well, so if people are thinking of coming, and with apologies for the clichÃ©, they should book early to avoid disappointment! As much as you may be enjoying the rehearsal process, do you half an eye on the last night party and putting your feet up? Certainly not â€“ not yet anyway! Besides because Godber is now on the national curriculum the theatre has contacted various local educational establishments with a view to staging additional performances at their premises or, if they wished, at the theatre. In addition we have already been invited to perform at Syerston Village Hall as a fundraiser for the Village Hall Committee, thatâ€™s on Friday November 28th. So at present we are not certain when the final performance will be. In any event the directorâ€™s job in supposed to be done at the conclusion of the dress rehearsal!